American photographer Donald Blumberg (born 1935) began his career making black-and-white photographs of the streets and people of New York. In his work, he has consistently incorporated a passion for activism and social critique, and in the 1960s, he turned his attention to mass media and the way people consume it. 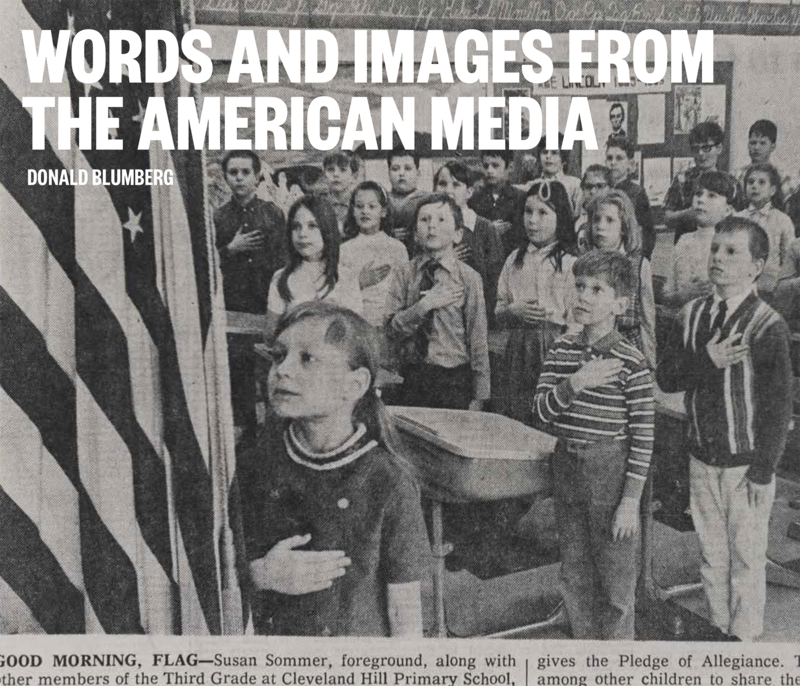 Words and Images from the American Media gathers over 160 images that Blumberg has photographed directly from newspapers and television screens. In his most recent work from this series, made over the last several years, Blumberg’s photographs also include closed captioning texts. This new approach, in which Blumberg captures decisive moments, reveals numerous contemporary American cultural expressions and archetypes. Blumberg’s presentation of these images is often highly humorous and darkly satirical, and at times deeply poignant.